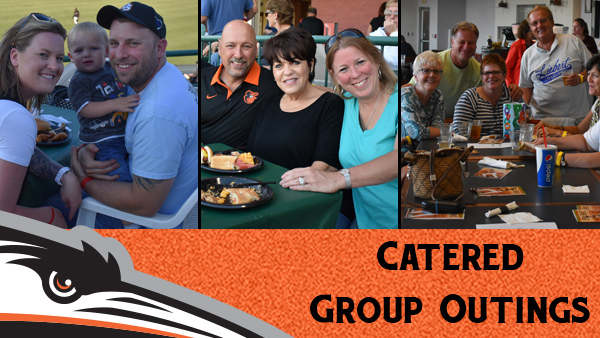 For More Information and Availability on Catered Events for the 2018 season, please contact the Shorebirds at 410-219-3112. Arthur W. Perdue Stadium boasts three different special group areas that are available for rental on a nightly basis. These catered areas are the perfect place to enjoy the game while being able to socialize with friends, family or co-workers. New for 2018, all three catered areas in the ballpark provide a Two-hour buffet that begins as soon as gates open. For more information, contact the Shorebirds ticket office at 410-219-3112. To learn more or book your group outing, contact the Shorebirds at 410-219-3112.